Three-dimensional print in edition of 45 by artist Jane Hammond. 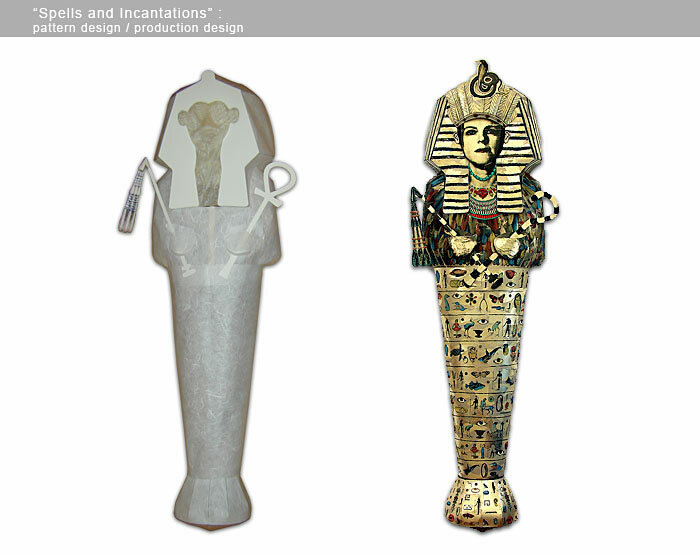 Michelle designed the flat structural pattern of the sarcophagus for printing and construction. The pattern contained a system of tabs, folds, and pleats. She also aided in the design of the packaging of the piece for travel. The print was published by Shark’s Ink in Lyons, Co.